As we are nearing the end of 2013 I wanted to share some of my favourites with you. At the beginning of next year I will cover my favourite bath, beauty and make-up products but this post is dedicated to some of my favourite blogs of 2013. This post has been extremely hard to write because there are SO many blogs I love to read but I couldn’t include them all or this post would be far too long. So instead, I have picked a small selection but plan to do more favourite posts like this next year to share more of the blogs I love with my readers. Ellie’s Ramblings – Ellie is a lovely girl I met at a Benefit launch event this year and we’ve kept in touch ever since. Before meeting Ellie, I was a fan of her blog and read it regularly. You can read it here. Couture Girl – This blog is run by the lovely Kayleigh and is full of gorgeous product reviews and outfit posts. You can check out this blog here. Lipgloss and Lashes – This blog is run by Becky who is another blogger I met at the Benefit launch event and have met up with many more times since then. Her blog is full of wonderful reviews and her layout is adorable. You can read Becky’s blog here. BeautyqueenUK – This wonderful blog is run by Rachel who is another friend of mine. It is full of reviews ranging from beauty products, fashion and accessories and you can view it here. 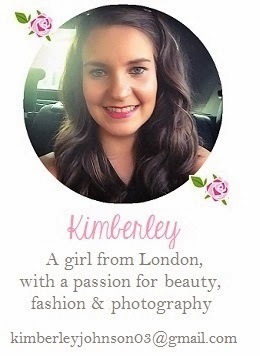 Miss Makeup Magpie – Gemma is the owner of this blog and is one I read nearly every day. The pictures are gorgeous! Read it here. Thanks for the recommendations! I haven't seen any of these I don't think so I'm about to check them out. I love finding new blogs. Happy New Years eve! Great list, love some of these and can't wait to find some new reads.